This Single family house, Second Ocean Line situated, with Ocean View, has 5 bedroom(s), 2 bathroom(s), a useable area of 205 m², with a plot of 2332 m². 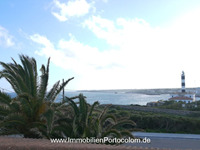 Fisher house in First Ocean Line situated, with great Ocean and Harbor View, 3 bedroom(s), 2 bathroom(s), a useable area of 160 m². 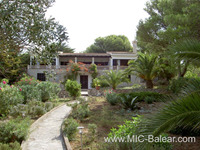 House with pool in first sea line close to the beach of Portocolom. 4 bedrooms and 2 bathrooms.